Attend the Italian University (for an Academic Year/Semester or Summer course or even Faculty Led Programs) is useful to complete your education. Bologna is the most ancient University in the western world, established in 10th Century and recognized by the German Emperor in 1088. Cultura Italiana offers the Italian language Survival course (everyday life) to reinforce the Italian communication competence. We also take care of your course at University of Bologna (Visa, matriculation, curriculum, credits, lessons, exams, accommodation and board). The course (Summer Courses/Semester/Academic Year) has a duration of 4/6/12/24 or 36 weeks. The curriculum includes Italian language and culture lessons and university courses on specific themes stated by the University of origin. a. Classes on Italian culture: 10 hours a week of Italian cultural activities from the past to the present and about specific themes relating to your faculty (3 afternoons per week). b. University courses on specific themes: Following the directions of the University of origin. History of Italian literature from its origin to the present day: the possibility of monographic courses about specific authors from the Middle Age to present. b) 4/6 lessons (one conference per week) conducted in Italian or English held by a professor of the Università di Bologna on a specific theme (Law, Economics, Sociology, Literature, History, Art) or specific themes (Science, Biology, Physics) relating to the student’s area of study. The Academic Year starts in mid-September and finishes in June. Semesters are from September to January and from February to June. Winter exams are in January and February and Summer exams in June and July. Accommodation prices includes the months at the University and the 4 weeks of Survival Italian course upon arrival. Cultura Italiana undertakes to follow the procedures and to adapt the lessons and goals to the mission and philosophy of the University of origin. Italian language courses to learn and to use the Italian language for the communication while living 1 month in Italy. The duration of courses is 2/4/6 weeks. Faculty led specifics: one conference every week (conducted in Italian or English) held by a professor of the Università di Bologna on a specific theme (Law, Economics, Sociology, Literature, History, Art) or specific themes (Science, Biology, Physics) relating to the student’s area of study. included (one conference per week) conducted in Italian or English held by a professor of the Università di Bologna on a specific theme (Law, Economics, Sociology, Literature, History, Art) or specific themes (Science, Biology, Physics) relating to the student’s area of study. Follow the procedures and adapt the lessons and goals to the mission and philosophy of the applicant University. The Applicant University commits to measure, convert and manage credits. In the past Cultura Italiana has cooperated with the University of Oklahoma for the establishment of university courses in Arezzo, with Arezzo since becoming a permanent venue. Cultura Italiana has taught Italian language courses with recognized credits, with visiting professors from the University of Oklahoma having held 3 courses at our Italian language school. Currently we organize Italian language courses, and with the Università di Bologna, accredited courses as Academic Year Abroad for the College of the Holy Cross (Worcester, MA). 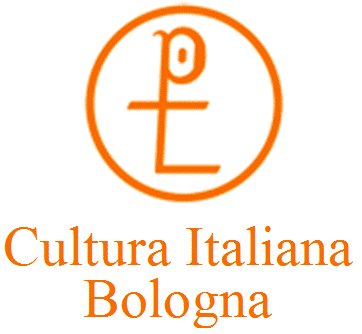 Cultura Italiana cooperates with the Università di Bologna (Italy) and the Università per Stranieri di Siena (Italy) for which we are a center of training and examination. We cooperate on permanent basis with the University of Stockholm (Sweden), University of Uppsala (Sweden), Maximilians Universitaet Muenchen (Germany) and in the USA with Spring Hill College (Mobile, AL), Rutgers University (Newark, NJ) and Johns Hopkins University (Baltimore). Cultura Italiana is a reference for the University of Stuttgart, Tuebingen, Heidelberg, Freie Universitaet (Berlin) and Humboldt Universitaet (Berlin) in Germany. In the past we have organized courses in Italy for Bard College (Annandale-on-Hudson, NY).